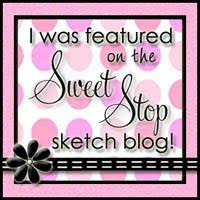 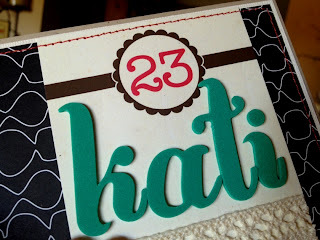 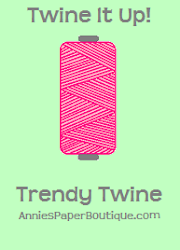 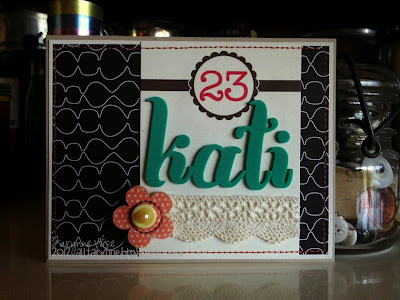 My Wise Designs: Happy 23rd Birthday Kati! I made this card for my cousin Kati, for her 23rd Birthday. 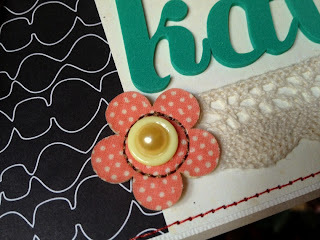 I used Elle's Studio's Vintage Mix & Match Numbers and Dear Lizzy's Merry Foam Thickers for her name. I added this cute polka dot flower from Basic Grey's Hopscotch Bloomers!